Summer is definitely on its way, and we all know what that means: updates for existing MMOs and expansion news. In a time where new MMO production is certainly tapering off, many current MMOs are bringing out the big guns to try to entice former players back. This month, we’re looking at new and updates for TERA, Wildstar, and the Guild Wars 2 expansion, Heart of Thorns. 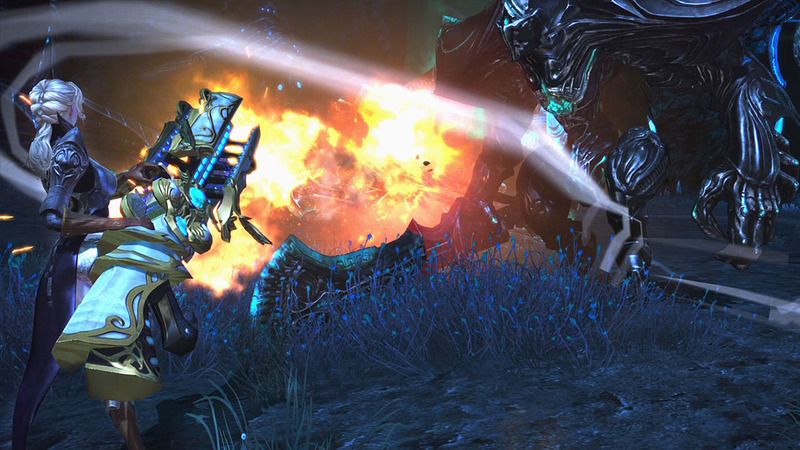 The latest in a series of free updates for TERA literally brings out the big guns with an all-new Gunner class. The class launched for all to play on May 5th, coinciding with the game being available on Steam. Gunners are female Castanic or High Elf characters that have access to the enormous arcannon. They deviate from the typical ranged classes found in many MMOs in that they have access to heavy armor, letting them stand in the front lines. Gunners also possess turrets and specialize in AoE attacks. To celebrate the launch of TERA on Steam as well as the new Gunner class, players who log into the game will receive a free “Beep Bop Boop” bundle, available until May 26th. This bundle includes a mount, a character slot, and a bunch of consumable items. For players jumping into (or back into) TERA, a double XP event will be running until June 2nd with small rewards at certain level milestones. One of the most exciting reveals (for me, at least) of the Guild Wars 2 expansion, Heart of Thorns, was the announcement of elite specializations. These give existing characters more options for their profession. 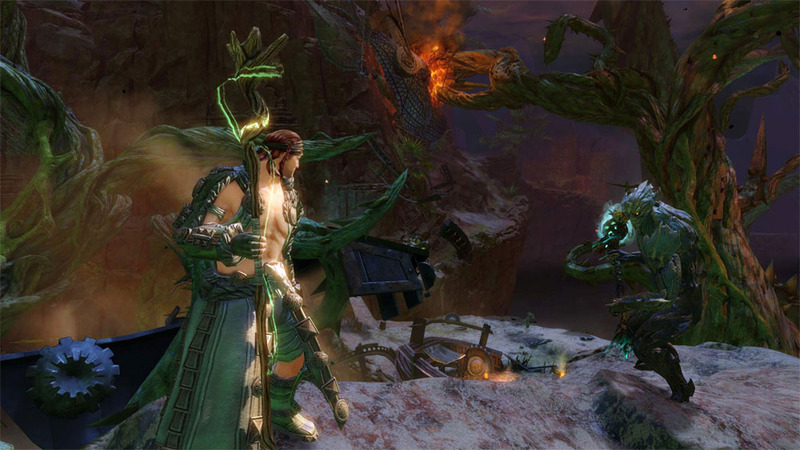 Elite specializations are part of a larger change coming to GW2, which are simply called specializations. Specializations will be available to everyone, regardless of whether they own the expansion or not. At level 80, a character will have 3 specializations they have chosen (out of 5 total core specializations). They will separate stats from traits, so players will no longer sometimes be forced to decide between playstyle and preferred stats. The specialization overhaul will in the end give characters more traits, and the traits will be more meaningful. Skill and trait unlocks will also be transitioning to a new system, based on “hero points.” Hero points will be earned by leveling up and from what is currently called “Skill Challenges” (they will be renamed “Hero Challenges”). Players will spend hero points on profession reward tracks, which will contain traits, skills, specializations, and items. There will be both specialization reward tracks and skill reward tracks. A max level character that hasn’t done any hero challenges will still be able to unlock enough skills, specializations, and and traits to make several unique builds. Elite specializations are level 80 specific specializations, a sixth specialization that players can choose. Each profession will be receiving one elite specialization in Heart of Thorns. Besides the level restriction, elite specialization tracks will differ from core specialization tracks in that they will offer a brand new weapon type unlock for the profession. They will also offer a new healing skill, four new utility skills, and one elite skill. The new specialization system sounds like an exciting improvement to me for the game. I’m looking forward to it going live and will certainly jump back into GW2 to try it out when that time comes.